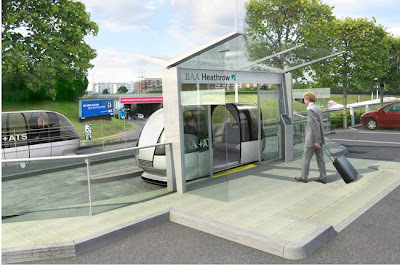 LONDON'S Heathrow Airport is rolling out futuristic driverless pods to shuttle passengers between terminals and the airport car park. 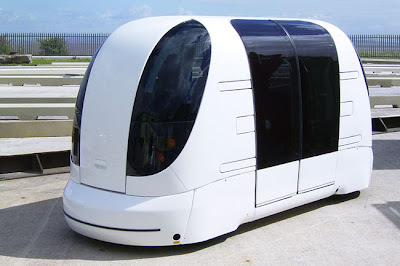 Future ... the ULTra Personal Pod, described as a driverless taxi, is being rolled out at the UK's Heathrow Airport. 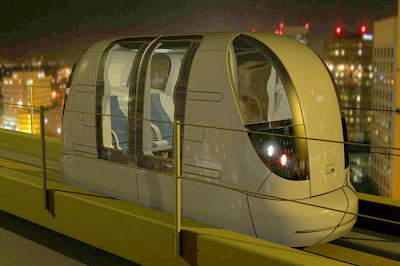 Relax ... the pods will be a much easier way of getting around. 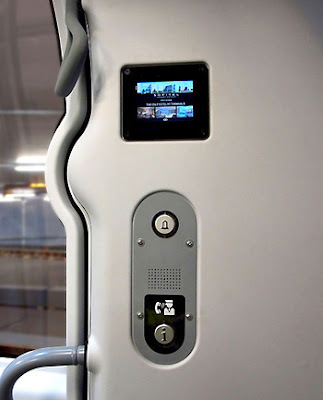 Family pod ... each pod is capable of carrying four adults and two children along with their luggage. 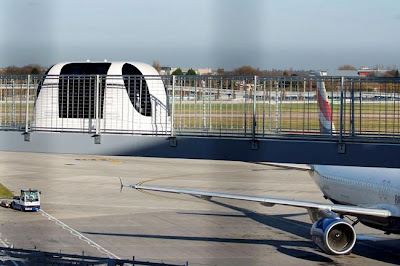 View from above ... the ULTra Personal Pod roads at Heathrow Airport. 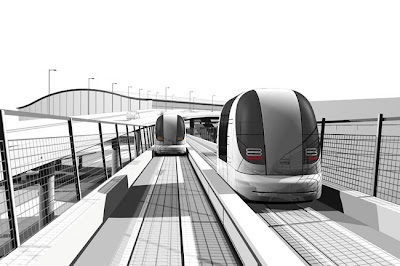 Drive away... the futuristic driverless pods will shuttle passengers between London's Heathrow Airport and the airport car park. Space station ... the pods have a unique look. 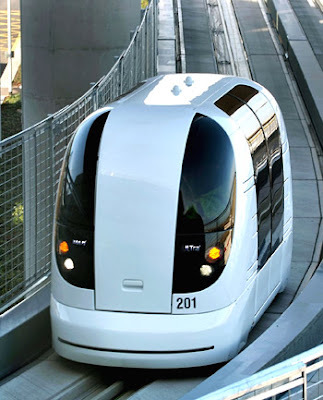 Ultra modern ... the Personal Rapid Transport system was created by ULTra, Advanced Transport Systems. 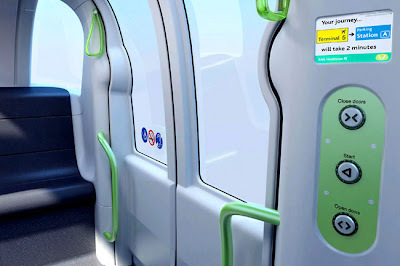 Drive time ... Heathrow says passengers will have to wait no longer than a minute for their pod to arrive. My pod ... by typing flight details into the onboard computer or swiping details from a frequent flyer card, the pod will take passengers straight to the correct terminal. 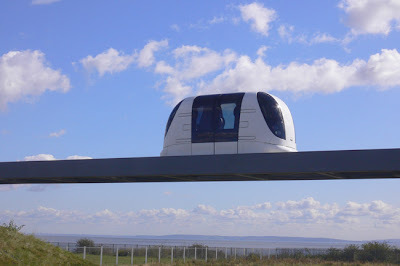 Practice run ... the pods are being rolled out at Heathrow Airport. 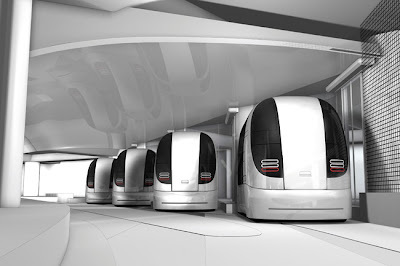 Power play ... when still the pods' battery will recharge and will use 70 per cent less energy than a car. 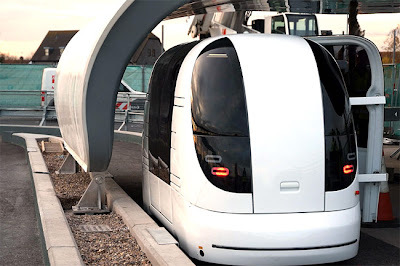 Track star ... the pods will be a vast improvement on the existing shuttle buses which use conventional roads around the airport. 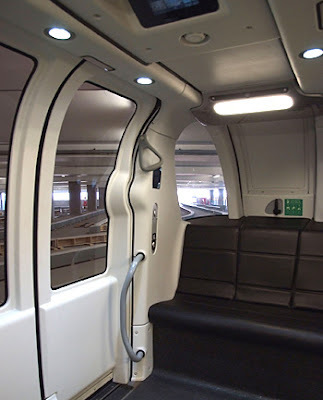 Door to door ... eighteen battery-powered pods went on trial earlier this year, taking passengers from Terminal 5 to their cars. 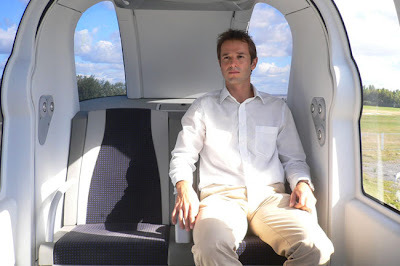 Success ... ULTra's first test trip took place at Heathrow on September 21, 2008. Peek inside ... the interior is quite spacious. 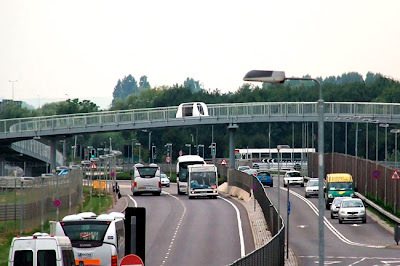 Pass ... the test checked on the aerodynamic effects of two vehicle passing each other at maximum speed. All over ... 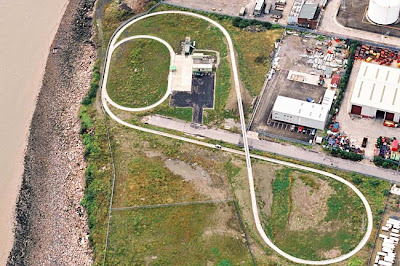 If the trial at Terminal 5 is a success, Heathrow hopes to roll out the system across the entire airport – covering 48km of track.